Enjoy a tour of Naples’ underground archaeological sites. Stroll through the chaotic alleys of the historic center in which lies a curious maze of tunnels, imperial structures and cisterns. 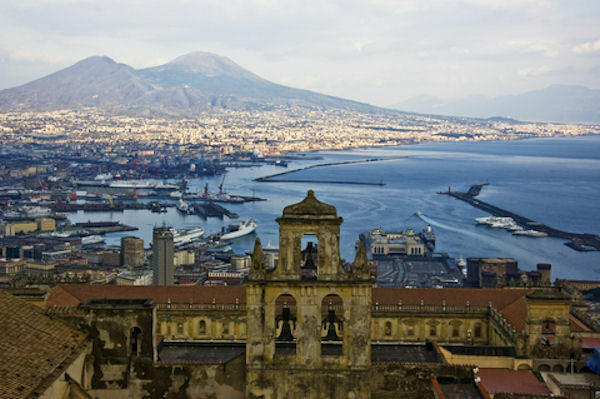 Here you will gain a deeper understanding of the evolution of Naples as a city, as well as an appreciation of its past. You will also see the gothic church of San Lorenzo Maggiore. Includes the Skip-the-line tickets for the Strada Nuova Museums. Please Note: This tour is not recommended for people who are claustrophobic as there are some tight spaces that you will have to maneuver on this tour. Remember to bring your camera. Please Note: This tour is not recommended for people who are claustrophobic as there are some tight spaces that you will have to manuever on this tour.